Take a look at a range of videos from all our destinations! 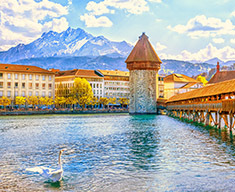 Expat Explore has been operating tours to Europe and beyond for years. From our inaugural tours to Paris, to the huge range of tours we now run in Europe and our range of tours in destinations like Egypt, Greece, Croatia, the UK & Ireland, we're proud to be known as travel specialists. Our expertise allows our passengers to enjoy the essence of each of our destinations, at prices that are always competitive. Take a peek below for a taste of our tours, and get in touch with our expert team if you would like to book a tour or have any questions. With such a huge range of tours to all sorts of destinations, this is a great place to start if you need a general overview of what Expat Explore Travel is all about. Get a glimpse of some of our favourite destinations. Warning: Inspirational footage - viewer discretion advised! adventure! Click here to explore our itineraries. Our 7-day tour of Great Britain starts off in London and heads north, visiting Cambridge, York and Hadrian's Wall before heading into Scotland. Once there, see Edinburgh, Inverness, Loch Ness, the Scottish Highlands and a real whisky distillery before heading back into England. See the Lake District, Liverpool, Stratford-upon-Avon, Wales, Bath and Stonehenge before finally making your way back to London. It's the ultimate 7-day tour of Great Britain! We offer a range of festive getaways with our Christmas tours to Europe. Enjoy a white Christmas on the continent and get into the festive spirit with some of the world's most famous Christmas markets. Head to the land of the pharaohs with Expat Explore and have the holiday of a lifetime in Egypt! Our group tours to Egypt include visits to some of the most famous sights in the country, including the pyramids of Giza, numerous temples in and around Aswan & Luxor, the Valley of the Kings, Abu Simbel and more! Plus, enjoy a spot of R&R on the beach in Hurghada, one of the Red Sea's premier diving spots.